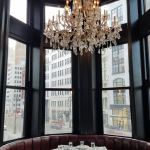 My inaugural DIFF (Detroit Is For Foodies) Restaurant post goes to Wright & Company. Jeff and I have been loving this place since it opened in 2014. It only gets better and better each time we go. 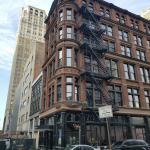 Our latest visit was just last month, January 2018. The location, the ambiance, the food and the drinks have never disappointed us. The building is gorgeous and I’m a sucker for an amazing chandelier. The fact that you have to take an elevator up to the restaurant is exciting and somewhat mysterious. The menu is uncomplicated and I love that! Everything is shareable and beyond delicious. 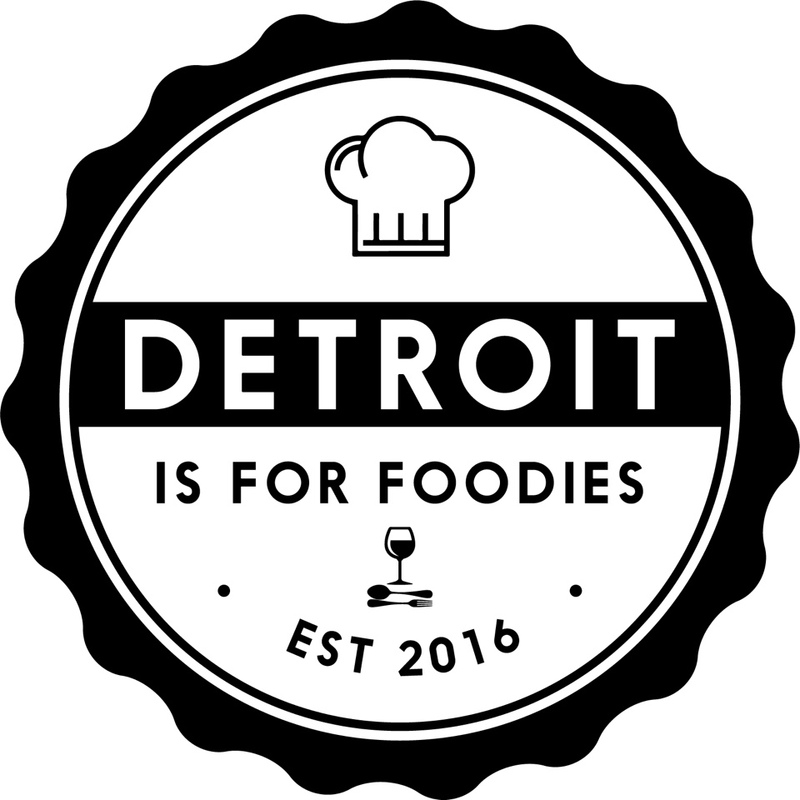 It’s not a surprise that the Executive Chef, Marc Dzojlija, is a James Beard nominee. 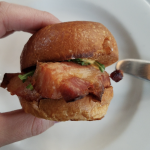 During our first visit in 2014, our server was going over the menu and made the comment that, “I sometimes wake up craving the Pork Belly Sliders.” Well, they are our favorite and we crave them all the time too. If you are splitting the dish (3 sliders) with someone, make sure you order an additional slider. You won’t regret it and you won’t settle for just one. Trust me. Sushi lover? 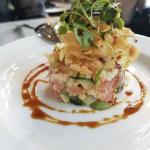 Then the Tuna Tartare is for you. Delicious tuna, spicy mayo and crunchy wontons sound good? Then order this! It’s delicious and refreshing. Most recently, I really loved the Parisian Gnocchi. 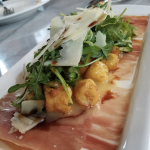 These little bites were fried and served over slices of prosciutto, arugula, and Parmesan cheese. We also tried the Wild Mushroom Arancini… YUM! Okay, now I’m hungry! Check out the menu for yourself Wright & Company Menu. The drinks are exciting and fun. 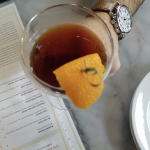 If you find a seat at the bar, grab it, and watch the magic that are the bartenders. We’ve enjoyed plenty of crafted cocktails, beers, as well as a lovely bottle or two, of wine with our meals. Here’s a tip, especially for parents like us, whose time out is limited (Most of the time.) GET THERE EARLY!!! They open at 4 and you could get seated right away. The service is very efficient so you can enjoy your time out and still be home to provide relief for that babysitter. If you have all the time in the world, avoid the dinner rush. Sometimes you can find a seat at the bar, while you wait for a table. Or, you could just eat at the bar. Wright & Company does not take reservations. This is an honest to goodness review of Wright & Company. I was not solicited or paid to write this blog post. The photos are all mine too.